Sacit offers a section of apparel for welders, able to combine the elegant Italian style with the restrictive safety regulations. The protective apparel line for welding features fireproof jackets in crust leather and a line of elegant safety footwear: products made of top-quality materials tested by the most important international committees for standardization, to ensure maximum safety. 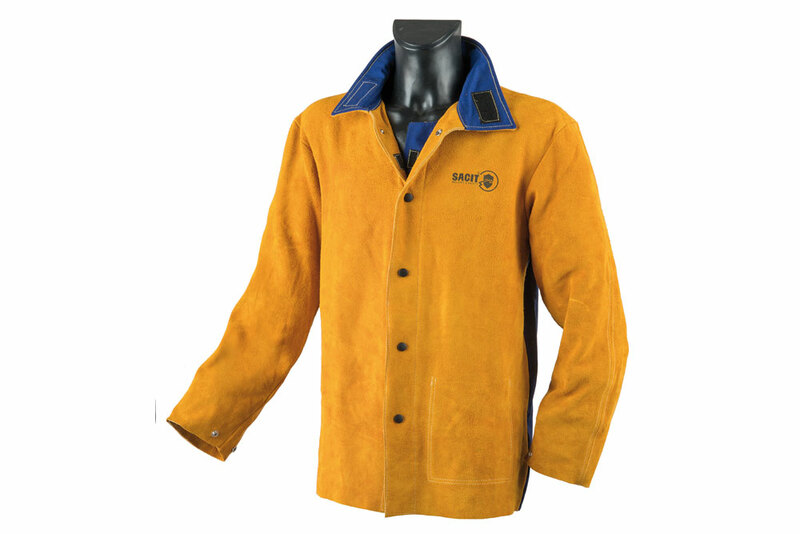 Light (1,45 kg) and comfortable crust yellow jacket with fireproof cotton blue on the back. Sleeves with snap cuff, inside pocket, cotton fireproof inner collar with Velcro closure. Velcro double closure with fastening antispatter buttons. 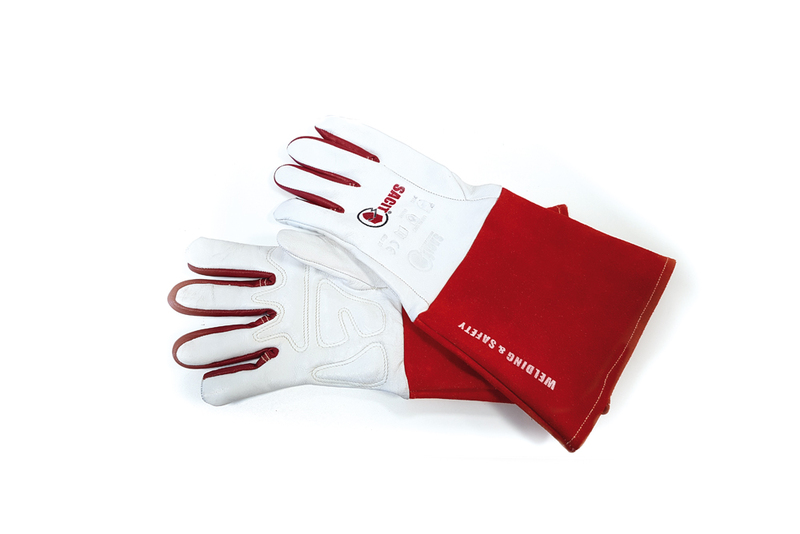 Welding glove, ideal for TIG welding, soft grain kidskin leather with internal transpiring fabric padding and reinforced palm lining, Kevlar® seams; maximum sensitivity and control as well as comfort. Footwear specifically for welders, with leather flap and Velcro closure to protect against sprays and welding spatter. Padded ankle area and in genuine leather. Padding with breathable inner lining, antibacterial, absorbent and resistant to wear. Toe cap and insole in non-metallic composite material. 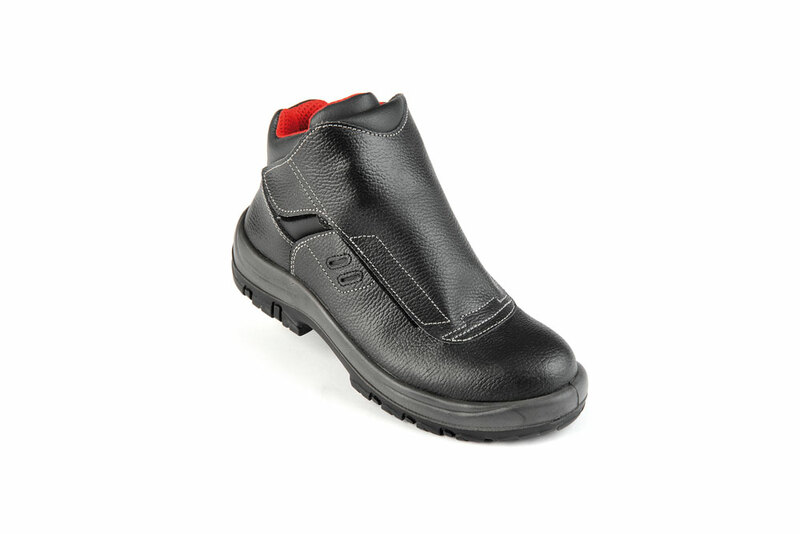 Two-component polyurethane outsole rubber-self-cleaning, Shock absorber heel and resistant to contact heat up to 300 ° C.
Footwear specifically for welders, with leather fl ap and Velcro closure to protect against sprays and welding spatter. Padding with breathable inner lining, antibacterial absorbent and resistant to wear. Two-component polyurethane outsole rubber-self-cleaning. Shock absorber heel and resistant to contact heat up to 300 ° C.
Cap. Soc. € 6.920,00 i.v.